Sometimes simply reheating what was left from dinner last night can be uninspiring. Alternately, leftovers can be a great shortcut to an appetizing next meal. Sometimes, they just need to be dressed as something else. You know what I mean. A sweater and scarf can be added to a favourite blouse and it looks like a completely new outfit. Fresh, uplifting and transformed. 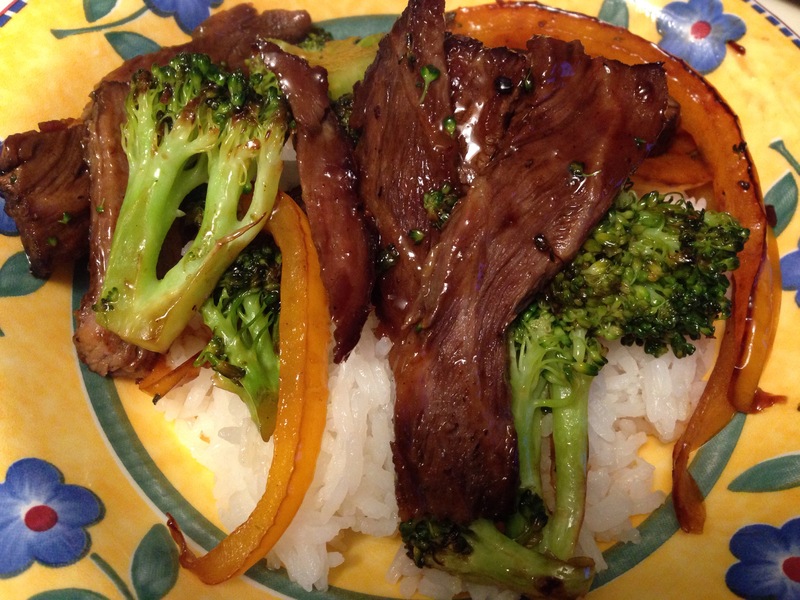 I had leftover rib roast and decided to change things up by stir frying slices of the beef with orange pepper and broccoli florets and then adding hoisin sauce. Served over rice, it made a nice change with simple ingredients.